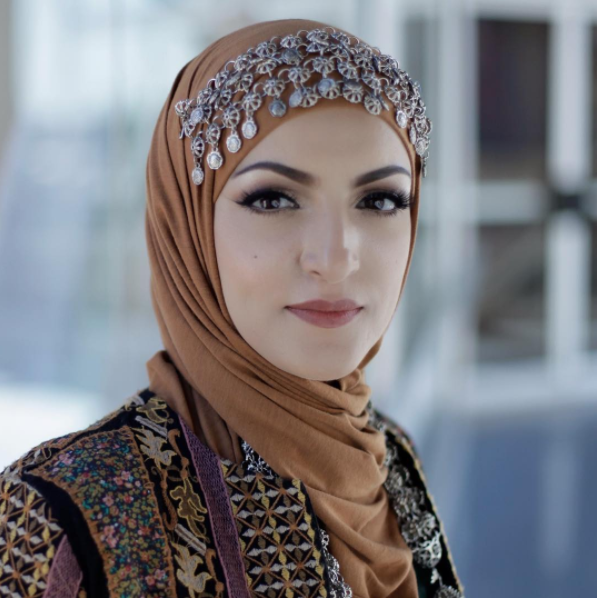 As an entrepreneur and makeup artist, Huda Quhshi noticed a missing gap in the modest beauty industry, so she decided to fulfill it by opening her very own women’s only beauty salon: Le’jemalik. She created an environment where hijabis can easily go for a hair cut without worrying about the salon and if it has any special accommodations for them. It’s an easy task for everyone, so she just made the process a lot easier for many Muslim women. Quhshi is changing the game by encouraging inclusivity and making her own dreams come true through this salon. Although it is designed to cater to Muslim women, Huda wants all women to feel welcome, no matter their ethnicity or religion. She describes the salon as a “safe haven” for women where they can sit back, relax, and experience self care. Muslim Girl: What inspired you to open a women-only salon? Huda Quhshi: Le’Jemalik Salon & Boutique is everything a girl can ever need. From makeup application for an evening out, a relaxing afternoon at the spa, or hair styling for an entire bridal party, we offer a range of services that could cater to the needs of every woman. Le’jemalik is designed to be a safe haven for women who, for either cultural and/or religious reasons, could not receive such services at any other salon. As a Muslim woman myself, I always had difficulty finding a salon that could accommodate my needs for a women only space. For this reason i always knew that i had to do just that! What are some of the challenges you’ve faced in starting this business? Being a Muslim entrepreneur while being a wife and mother of three was no easy task. Trying to find a balance between family and business was a struggle, but my family stood by me all the way. Their undying support is what keeps me aiming high. They are my rock, and I know I can always stand strong with my loving family by my side. How did you develop an interest in cosmetology? What does beauty mean to you? My passion for all things beauty started at a young age. I began doing henna on my mother and sister at the age of 10. I knew I had a dream, and I wasn’t going to give up until I accomplished it. With the love and support of my family, I was able to make my dream a reality. I am hoping to create an empowering environment for women. We want to foster talent and for this reason, we are actually providing weekly seminars for anyone to come in and learn techniques and tricks. How did you realize there was a need for a women’s only salon? Muslim women observe the hijab as a symbol of modesty and faith. They will only feel comfortable removing their hijab if they know that no strange man will see them. For this reason, many of my clients have expressed to me that they fear going to a hair salon because they are afraid that they won’t be understood or that the salon will not make the accommodations necessary. Some salons have tried to cater to this need by taking the women to a back room, but usually these spaces are small and not equipped properly. At the same time, Le’jemalik is a safe haven for all women, of all faiths, races, ethnicities, and ages. We stand for women empowerment and we think anyone who would like to support a women-only business would love to stop by. We have gotten several messages on our social media platforms from women all over the world who support our business and have said things like, “ I’m not Muslim and I do not wear the hijab, but I would love to come to your salon.” The accommodations that we provide in our salon have definitely come from the needs of our clients, and we aim to always listen to the needs of our clients and think of innovative ways to accommodate them. From a quick glance at the salon, it’s pretty easy to figure out that our inspiration for the salon was a wedding hall. While I provide services for all occasions, my specialty is in bridal occasions. Our salon is equipped with a VIP bridal room that was designed with built-in glass closets to place wedding gowns, shoes, and accessories. We work with brides all the time, and so we know how stressful things can get sometimes. For this reason, we have designed the salon with a bride in mind to make sure that we have done everything we can to make her special day go as smoothly as possible. Our bridal boutique is full of available gowns that were once worn, but are still in very good condition. This service is great for anyone who wants a designer gown but doesn’t want to pay full price. I feel that beauty services and fashion go hand in hand. A woman can now come in for a beauty service and maybe even find the dress of her dreams. It’s a win-win situation! Maha Syeda is a journalism student at Ryerson University. She's passionate about writing on several different topics, whether it’s food, fashion, or politics. She's also a shopaholic and a huge foodie. When she's not writing, she's often binge watching Korean dramas or jamming to her hip-hop playlist.